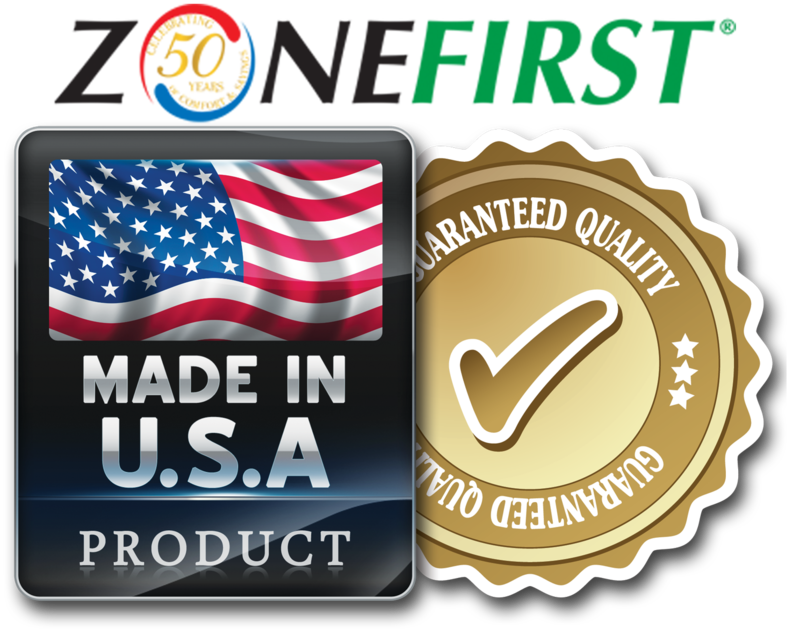 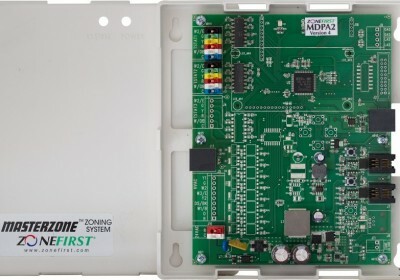 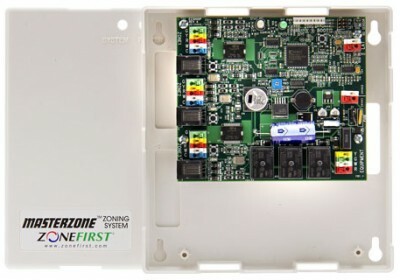 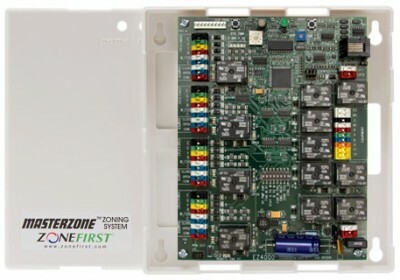 The Mini-MasterZone 2 Zone panel is an economical 2 zone only panel for single stage heating and cooling systems. 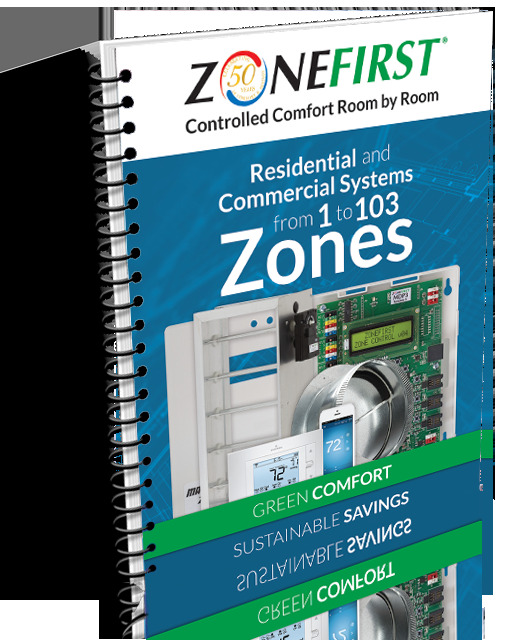 Compatible with any 4/5 wire (Y-G-R-C-W) thermostats, this panel is the simplest zoning system yet, needed with Hydro-Air and electric Heating systems. 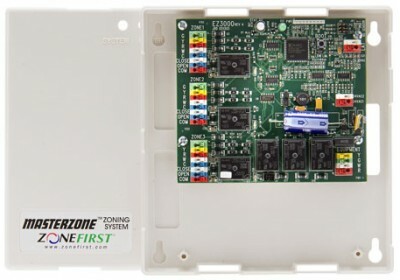 Built-in LEDs indicate system status and indicators to show each zone’s call. 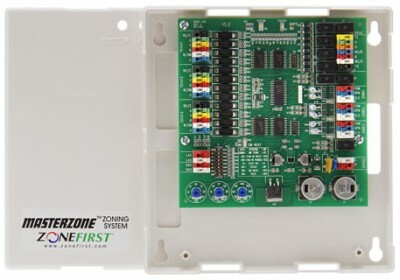 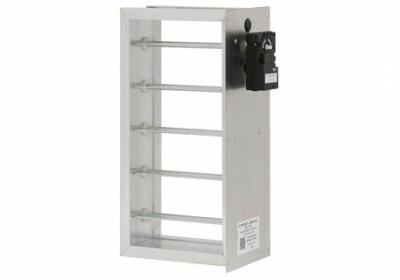 This panel features NEW color coded screw-less terminal blocks making wiring quick and simple. 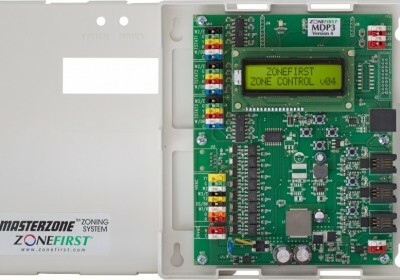 The MMP2 controls only the New Plug-In Dampers. 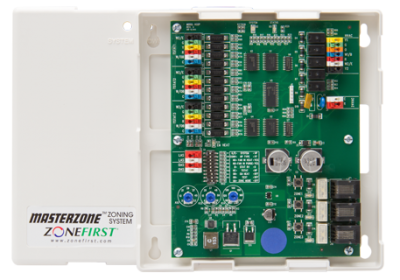 When any zone calls for heating (or cooling), the panel accepts the first call, opens the damper to the calling zone, closes the dampers to the satisfied zones and activates the HVAC Unit. 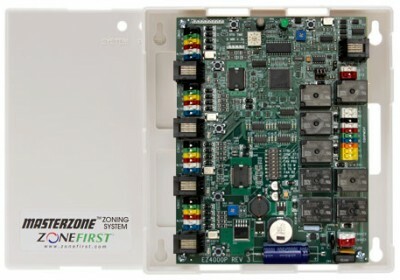 Any calls for the same mode, heating or cooling, will have their zone damper open and receive conditioned air. 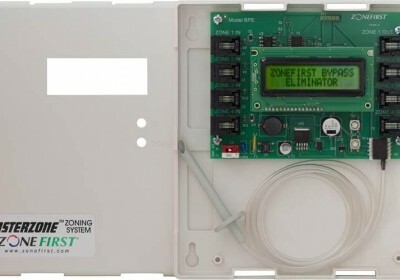 If an opposite call is made during this time, it will be held until the first mode calling is either satisfied or a maximum of 20 minutes expires, which then after an approximate 2 minute purge time, will switch over and satisfy the opposite call. 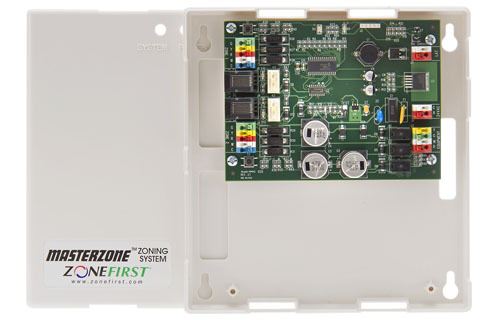 Once all heating and cooling calls are satisfied the panel will accept fan only calls and cycle the dampers to supply air only to those zones with the Fan switch in the ON position. 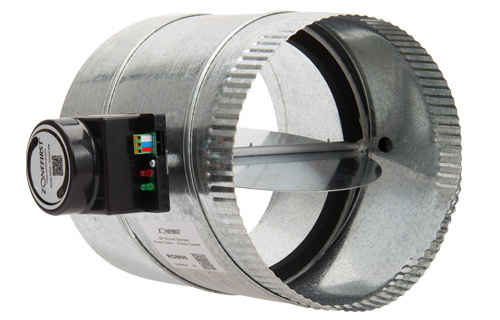 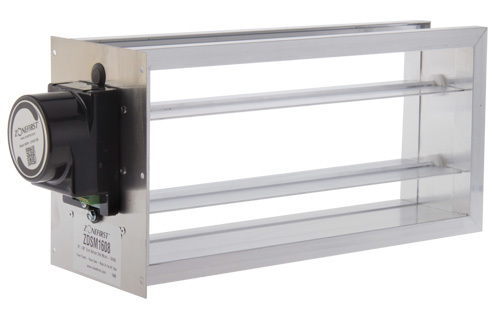 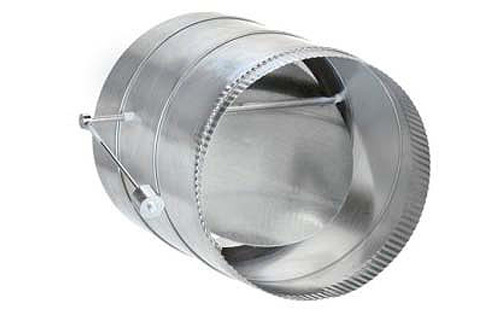 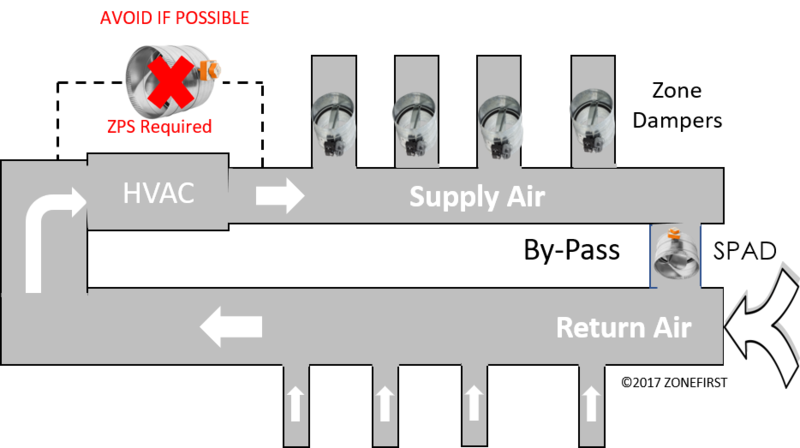 If there are no heat, cool or fan only calls, all dampers return to the open position.